Purchase this product now and earn 2,800 NEXUSPoints! PowerTube® is the advanced TENS (Transcutaneous Electrical Nerve Stimulation) therapy unit developed by Swiss Engineer Martin Frischknecht (HTL Dipl. Eng.). The Powertube TENS therapy devices are used worldwide with great success. Alternative healing and treatment methods are on the rise, and in strong demand. This is where the PowerTube delivers. PowerTube is easy-to-use, battery-powered electronic device for transcutaneous nerve stimulation and pain therapy. Relief from pain within minutes, this device can be safely used daily. How does the Powertube work? Many of the other Tens Devices are designed to destroy viruses in your body. Powertube has adopted a totally different approach by using 3 frequencies that homogenise molecular cell structure of blood. This improves the internal environment and detoxifies the body. Powertube does not eliminate any bacteria but reinforces your immune system so that your body on its own can fight against morbid bacteria, viruses etc. As a result the body’s energy levels improve. Hence Powertube via the use of the three frequencies results in the detoxification of the body and homogenisation of the molecular structure of blood which strongly enhances the human body’s ability to heal itself. 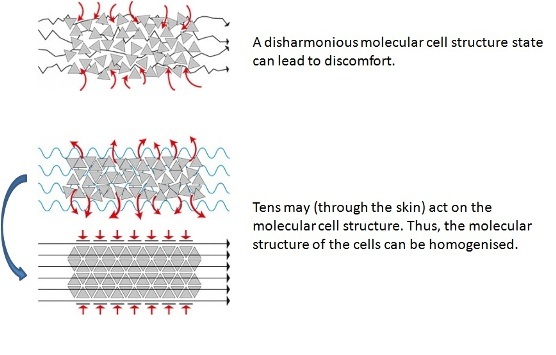 The PowerTube Tens device works (through the skin) on the molecular water structure. The three fundamental frequencies with the corresponding harmonic series “vibrate” the water molecules within the mitochondria. Alternating current and frequencies corresponding to the water molecule make PowerTube a device different to others on the market. Used by integrative practitioners, dentists and doctors around the globe for pain relief, infection, cleansing of the body and optimising general health. Great for home use. Easy to clean with alcohol wipes. The Powertube is a hand-held therapeutic medical device for personal and therapist use. (Registration No. ARTG-140656).